The new pop-up has giant pints, a tasting room, and lots and lots of ice cream. The Museum of Ice Cream has returned to New York, the city where the Insta-worthy pop-up phenom began back in 2016. But this time, in lieu of a pool filled with sprinkles, the co-founders Maryellis Bunn and Manish Vora are opening a Pint Shop, serving up the museum's own line of signature flavors and putting the focus on actual ice cream. "New York's museum was like a beta iteration... then in L.A., San Francisco, Miami, each one continues to evolve," Bunn told me at a preview of the new space. "What's the same [at the Pint Shop] is the importance of the interaction and the people. The difference is that this is a real exploration of flavor." The first thing you'll see at the Pint Shop are pints. Giant ones. Behind each of the three towering containers, you'll discover a new photo opportunity (after all, what would the Museum of Ice Cream be without them? ), including an interactive banana backdrop, a sprinkle pool life preserver swing, and a tub of (plastic) cherries you can take a quick dip and pic in. There's also a grocery store-style gift shop, a premium tasting experience to enhance your visit (more on both later), and Pint Sessions which will feature new creative, hands-on experiences weekly. One of the rather frustrating realities for ice cream fans looking to visit the previous pop-up museums in New York, Los Angeles, San Francisco, and Miami is how quickly they all sold out. Bunn admits that's exactly why the Pint Shop is open to everyone. "It's accessible... This exhibit is free and open to the public," Bunn said. "It's an opportunity for us to rise to our mission of being inclusive. And it's a great respite, come in on your lunch break or while you're taking a walk." Part of the Pint Shop's programming is a tasting session. But don't expect it to just be your standard samples served on tiny spoons. 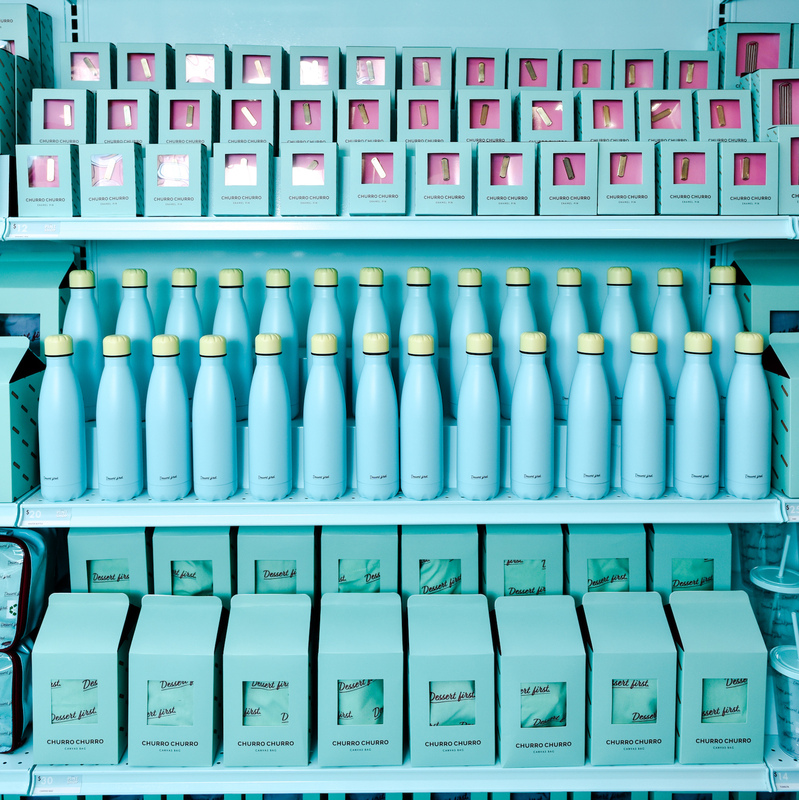 After donning your own pink lab coat, the shop's flavor experts will lead you through a vanilla tasting first, to highlight the base ingredient of most ice cream flavors, before moving on to the six newly-released ice creams. In my session, that included first becoming familiar with the vocabulary around how to describe vanilla (it's trickier than you might think) before comparing the two different types of vanilla extract MOIC used in making its base ice cream flavor. Tickets for the tastings are $28 and require an advance reservation on the MOIC Pint Shop website. "We've spent the last year working on every single ingredient—its ratio, its sourcing, the difference between a [vanilla] bean from one island versus another island, or one grower versus another," Bunn explained. "I wanted to give the public an opportunity to experience a little part of it. So when you're eating something vanilla you know that that vanilla flavor actually started three years ago." 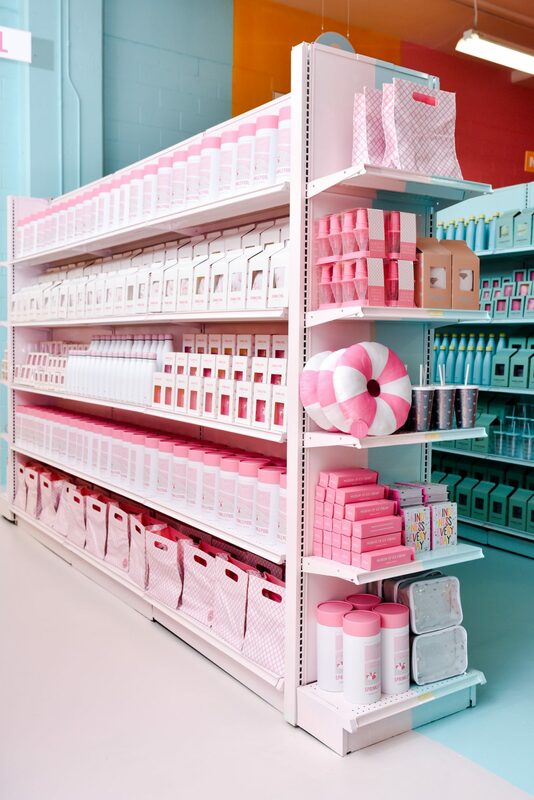 Each of the MOIC's flavors gets its own aisle, which means there are cherry, vanilla, and churro-themed items ranging from plushes to patches to water bottles and apparel, all color-coded. Bunn says the Pint Shop will stick around in New York for the summer but dwellers of other cities can expect it to be mobile after that. Pint Shops will also be set up in the Museum of Ice Cream's as-yet-undisclosed permanent museum locations, too. 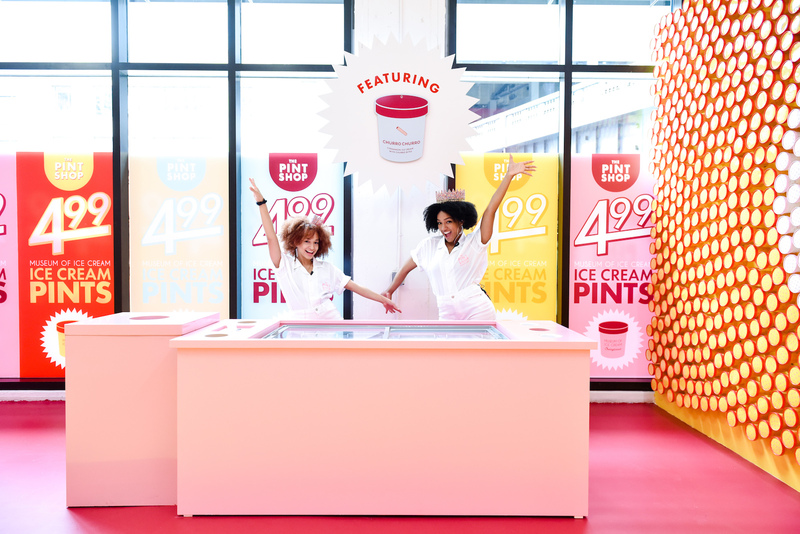 If you're not in the NYC area this summer, you will soon be able to find the museum's flavors in pint form at Target stores. The Museum of Ice Cream Pint Shop is located at 459 W 14th Street in New York's Meatpacking District and open Wednesday through Monday from 12 p.m. to 9 p.m. beginning June 6, 2018. Reservations for tastings can be made here.